This Book of Memories memorial website is designed to be a permanent tribute paying tribute to the life and memory of Billy Murray Adams. It allows family and friends a place to re-visit, interact with each other, share and enhance this tribute for future generations. We are both pleased and proud to provide the Book of Memories to the families of our community. Willie Murray “Billy” Adams was born March 6, 1940, in Redbush, KY and slipped his Earthly bonds on March 30, 2019 at Westmoreland Care and Nursing Home in Westmoreland, TN. Billy’s father, Charlie, worked as a coal miner in the Van Lear coal mine, the same as mentioned in Loretta Lynn’s “Coal Miner’s Daughter.” His mother Sarah was a housekeeper and cared for their 13 children. Money was scarce and food was often in short supply. It was in those extreme hard times that Billy's interest in music and writing began. His family could not afford to buy real musical instruments, so he and his older brother Charles could often be heard singing while accompanying themselves by pounding hard driving rhythms on lard bucket lids. Later, his father borrowed a guitar from a kind neighbor and he taught his sons to play simple chords. Billy’s powerful and rebellious voice was first heard on radio in 1952 at WCMI in Ashland, KY. In early 1954, he heard Elvis Presley for the first time on the radio and soon organized his first band, The Rock & Roll Boys, with his brother Charles on electric lead guitar and Curtis May on upright bass. In the fall of 1955, they recorded Billy’s original song, "Rock, Pretty Mama," released on Quincy Records in 1957. Two more songs "You Heard Me Knocking" and "True Love Will Come Your Way” were released on Dot Records of Hollywood in January, 1958. By the end of the decade, Billy and his band, now named The Rock-A-Teers, recorded six more classic songs for the Nau-Voo label of Portsmouth, OH. The singles received good reviews in Billboard and Cashbox and the band toured relentlessly, but stardom proved elusive. Frustrated by the lack of widespread success and tired by the rigors of the road, the Rock-A-Teers performed their last show together in 1959. On July 9, 1961, Billy married Freda Louise Riffe. Three daughters, Tina Maria, Teresa Louise, and Janetta Darlene were born to the union. 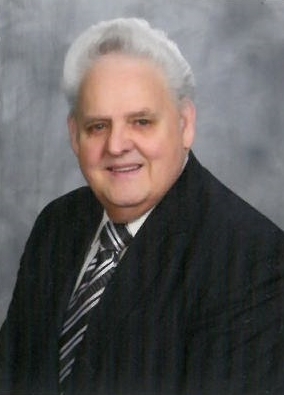 In 1965, Billy received his calling into the ministry. This was a watershed time of creativity for him as a writer of gospel and country music - and for the next 20+ years Billy wrote and recorded a massive body of work, including the Top 10 gospel hit “I Saw The Man” for the Happy Goodman Family. For several decades he toured the country by bus with his family band, spreading the gospel as an Evangelist and aiding in humanitarian efforts for people in need. Billy also became a Kentucky Colonel during this time. By the late 1980’s, Billy’s early music began to resurface on MCA, Ace and Bear Family, spurring a renewed interest in his music. Unfortunately, another recording artist named Billy Adams died in 1984 and many people confused the two. Surprised by the revival of his music, and undaunted by the news of his “early demise,” Billy realized his long-held dream when he recorded at the legendary Sun Studios and released his critically acclaimed comeback Rockabilly project, Legacy, in 2000. Shortly thereafter, he was inducted into the Rockabilly Hall of Fame as a “Legends” member. In 2002, Sanctuary Records of London released a career-spanning compilation of his early music entitled Rockin’ Thru The Years. He began performing again with a reformed “Rock-A-Teers and appeared at major festivals across America and in Europe. On May 11, 2007, Billy lost his wife, Freda, to cancer. On August 5, 2010, Billy married Sue Justice. Susie Traylor, and Carolyn Jones. Billy is survived by wife Sue Adams of Portland, TN, daughter Tina Adams of Spring Hill, TN, daughter Janetta and son-in-law, Kelly Blevins of Argillite, KY, granddaughter, Hannah Kellene Grace Blevins, sisters Stella Jones and Sue Jenkins of Greenup, KY and Diana Clark of Flatwoods, KY.
Visitation will be on Monday, April 1 at 2:00 p.m. with services at 3:00 p.m. at Spring Hill Memorial Park and Funeral Home, in Spring Hill, TN, where he will be laid to rest.